What’s the best route to reach Um Qais from Amman? For the fastest route from Amman to Um Qais take Highway 35 following signs to Irbid. We advise taking the Petra road exit to avoid driving through Irbid, turn left at the roundabout in front of the entrance to the Jordan University of Science and Technology. Follow the Petra road until you reach another roundabout and turn right onto the Amman Road. Continue straight on Amman Road until you reach a T junction and turn left. Amman Road is notable because it has a replica air force jet on a roundabout. Once at the T junction turn left and follow this road until you reach another roundabout and turn right. This is the road to Um Qais. Remember to mind the speed bumps on this road! This road will take approximately 30 minutes to drive. Once in Um Qais, drive through the village and past the ancient city ruins on your left. Take the first right and head up the hill. Park your car near the steel bins and walk down the street on your left where you will find Baraka Destinations. What’s the best route to reach Pella from Amman? For the fastest route from Amman to Pella, drive towards Salt on highway 30 and descend into the Jordan Valley. 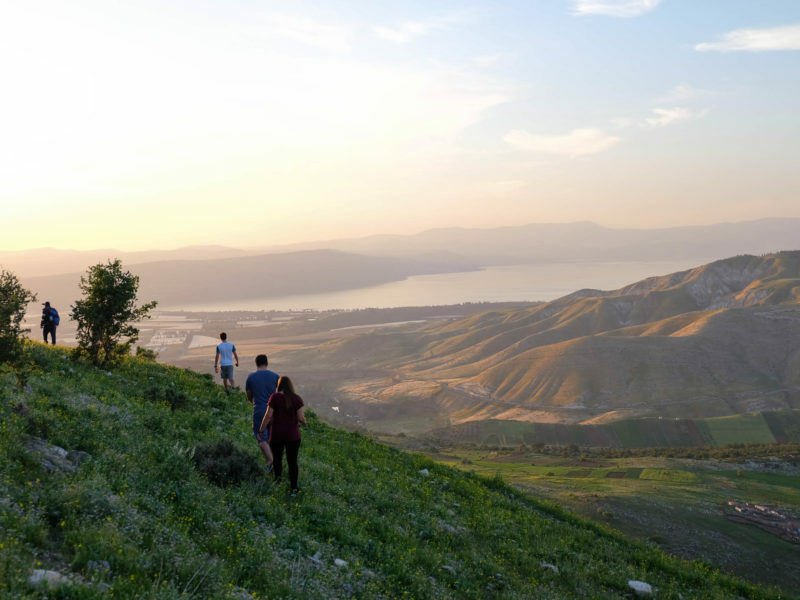 Once you reach the Valley, turn left and head northward on the Jordan Valley Highway. Continue on the Jordan Valley Highway until you reach the town of Mashareah. We’re not on google maps yet; however, we’re located just above the Pella Restaurant and archaeological site. You’ll see Beit Al Fannan perched on the hilltop. Can I reach Um Qais using Public Transportation? Taking public transportation around Jordan can be challinging and time consuming. If you’re up for it: buses to Irbid leave Amman throughout the day from Amman’s North bus station and arrive in Irbid at the New Amman station in the southern part of the city (1.4JD). Once you arrive you will need to take another bus or a taxi to the North Irbid Bus Station, look for a bus going to Um Qais, the name will be in Arabic, while only costing you .5JD the bus will only leave once it is full. Can I reach Pella using Public Transportation? Reaching Pella by public transportation is not for the faint of heart. If you’re up for the challenge start at the North Bus Station in Amman and take a bus going to Irbid. You will arrive at the South Irbid Bus Station where you will need to take another bus or a taxi to the North Irbid Bus Station. At the North Irbid Bus Station look for a coaster bus going to North Shuna, note that the bus will not leave until it’s full. Once you arrive in North Shuna, you’ll take a mini van to Mashareah. You may need to take two mini vans to reach Mashareah. Once you arrive in Mashareah, you’ll need to get another mini van to Tabqat Fahl. The mini van can take you to the restaurant if you ask. How can I get to Um Qais from the Sheikh Hussein border crossing? The border can be reached from Beit She’an by taxi (30 NIS). Taxis on the Jordan side can take you directly to Um Qais for a fixed price of 20-30JD. For most nationalities no advanced visa is required when crossing into Jordan at the Sheikh Hussein crossing. The exit visa costs 106NIS and a shuttle bus to the Jordan side costs 5 NIS, where an entrance visa costs 10JD. How can I get to Pella from the Sheikh Hussein border crossing? The border can be reached from Beit She’an by taxi (30 NIS). Taxis on the Jordan side can take you directly to Pella which is only 25 minutes away by car. If you have your own transportation exit the border crossing and head south on the Jordan Valley highway you will see signs for the Pella archaeological site once you reach Tabqat Fahl. What’s the weather like in Um Qais? Um Qais is characterized by the Mediterranean climate which is cold in winter and warm in summer. The altitude in Um Qais is 378 metres (1,240 ft) above sea level making it warmer than Amman during winter. 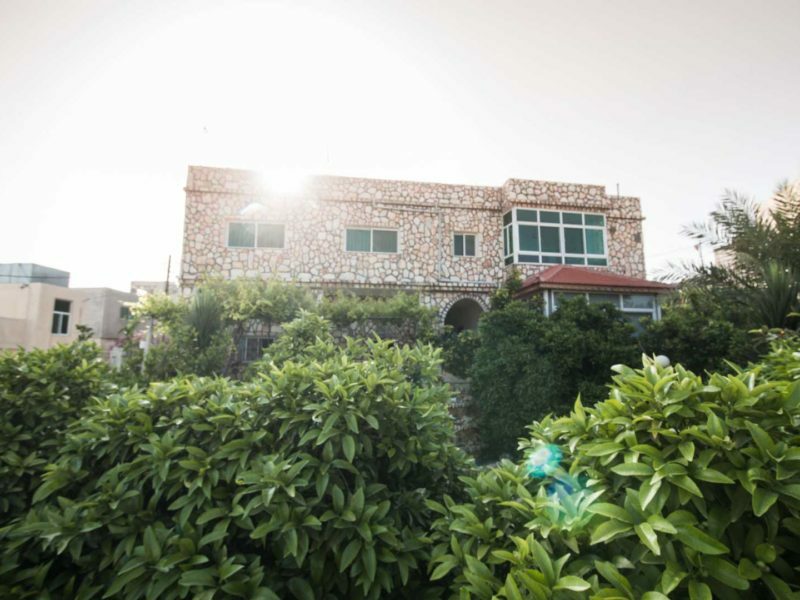 Its position perched on a hilltop overlooking the Sea of Tiberias, the Golan Heights, and the Yarmouk River gorge characterized Um Qais with its excellent weather and open view making it rather spectacular even on a winter cloudy day. What’s the weather like in Pella? Nestled in the Jordan Valley, Pella has a subtropical climate with low rainfall, high humidity, and warm temperatures. Pella has summer highs at around 40°C and winter temps averaging 15°C. Where can I find an ATM, bank or currency exchange? Cash is the best way to pay for activities or goods in the village. ATMs are not readily available in Um Qais or Pella. We also advise that you exchange your foreign currency in Amman, as there are better rates in the city. There are no currency exchange centres in Um Qais or Pella; however, currency can be exchanged in Irbid or near-by cities. We do, however, accept credit card payments at Beit Al Baraka and Beit Al Fannan.